Tour2.0 is a platform that takes you through a journey of discovery through authentic community tours and tour packages that are based on real African stories told by community members within the context of their community. I’ve spent lots of time exploring Alex and written about it in my blog (see posts here and here), in the soon-to-be-released SandtonPlaces book, and in an upcoming issue of the Johannesburg in Your Pocket Guide. But there is much more that I’ve yet to discover there. Alex, notwithstanding the fact that 95% of South Africans are afraid to set foot there, is one of Joburg’s most historic districts. I think it’s also one of the most interesting. On this recent tour I was introduced to a few places in Alex that I hadn’t been to before. Kings Cinema was the most spectacular. 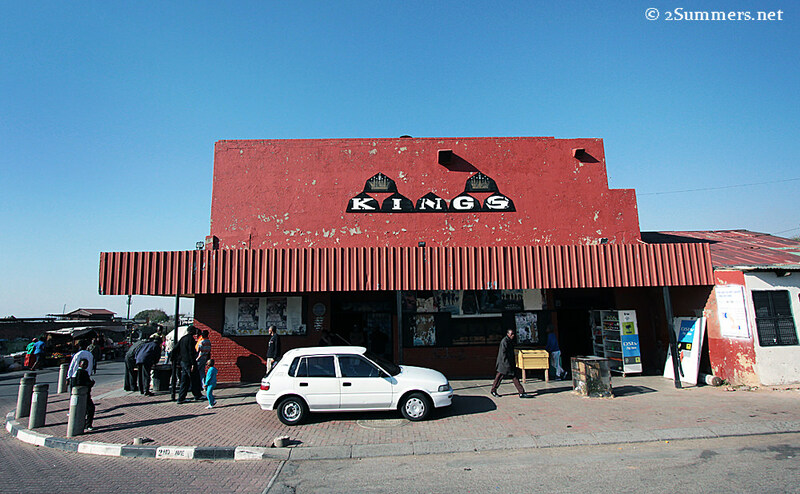 Kings Cinema: 48 2nd Avenue, Alexandra. 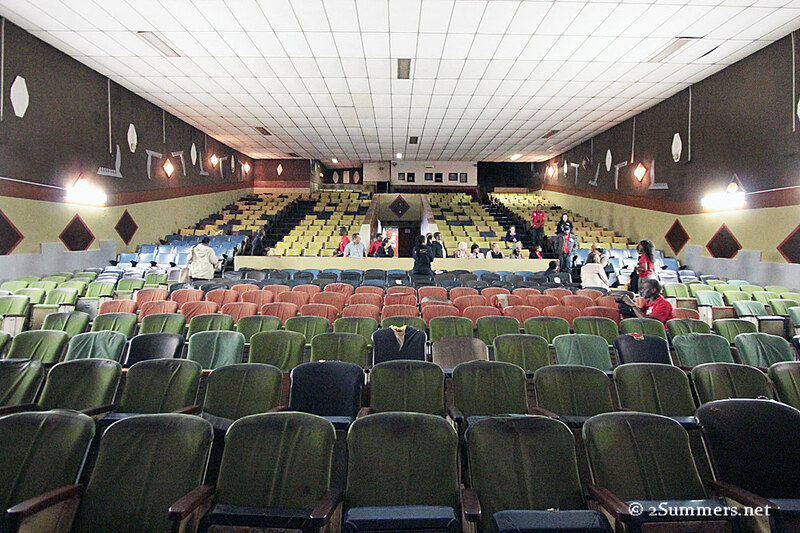 Kings Cinema was built in the 1940s or 1950s (depending on who you ask). Other than natural ageing it’s hardly changed over the last 65 years. 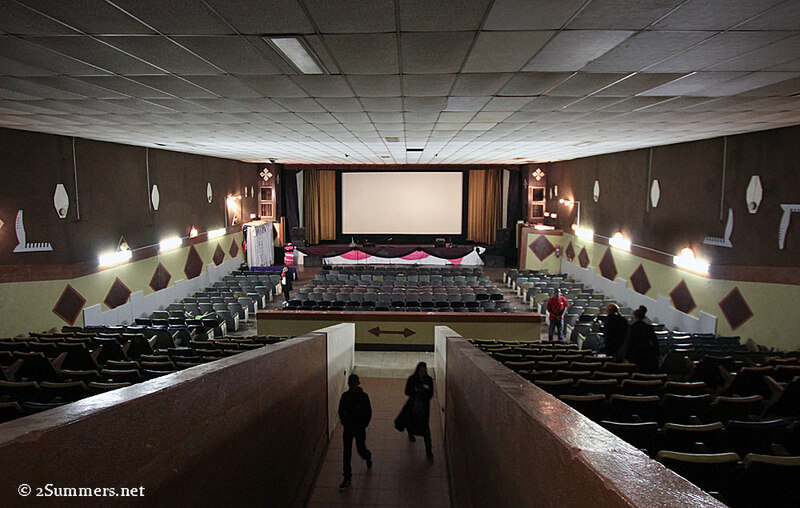 Kings Cinema is the oldest movie theatre in Alex and has 500 seats. The inside of the cinema. Louise pretends to watch a movie. Kings Cinema has been owned by the same family since it opened. The current owner, Abraham Nkomo, inherited the business from his uncle. I met Abraham and immediately adored him. 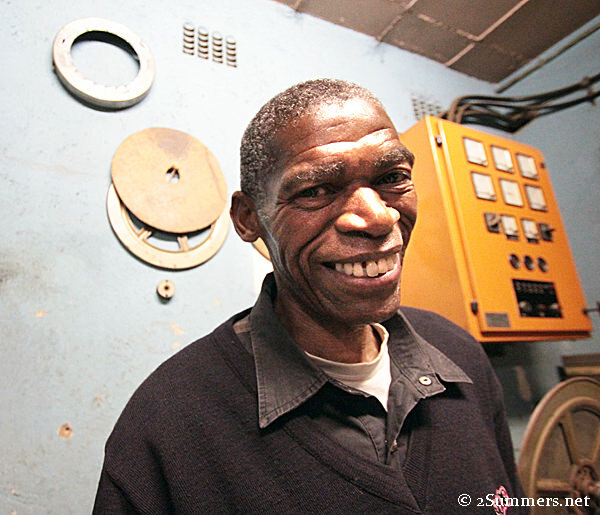 He screened mainstream films at Kings Cinema up until three years ago. Then he had to stop because he couldn’t afford it anymore. 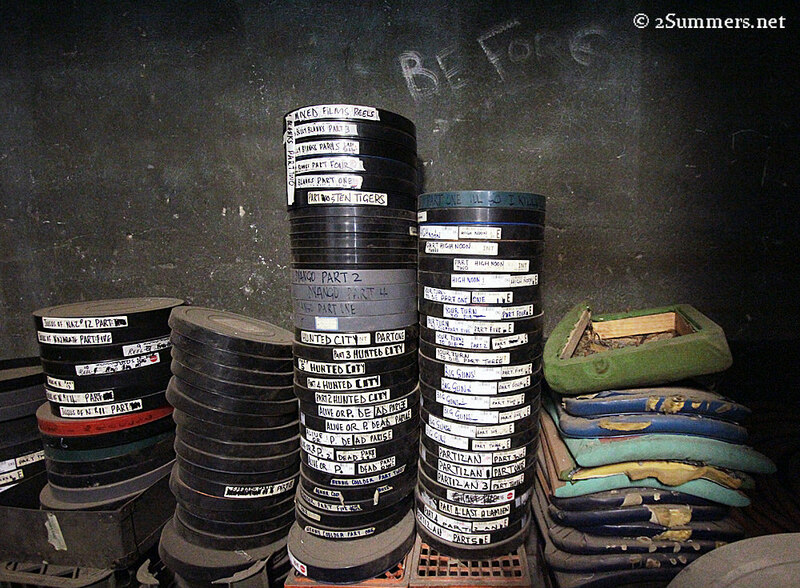 Old film reels in the Kings Cinema store room. Abraham keeps the cash-flow going by renting out the theatre to churches — smart move, as there are lots of congregations in Alex and not enough space for churches. He hosts three congregations a week. A doctor also rents out part of the building as his office. View from in front of the screen. I, along with everyone else in the tour group, wandered around with our mouths open and exclaimed that this is pretty much the coolest place ever and there must be some way to start showing movies here again. Abraham flashed his beatific smile and inclined his head. I’m not sure he cares too much. The cinema isn’t going anywhere and neither is he. Abraham at the entrance to the cinema, next to the building’s historic marker. The price of admission (R10.55, or about $1) is still on the door. Peeling movie posters plaster the walls outside. I stood across the street, waiting for the tour van to move so I could get a clear shot of the building. Men gambled on the corner, playing a game with a large checkered board and some plastic bottle caps. Taxis screeched past. Kids waited in line to buy candy from the spaza shop. 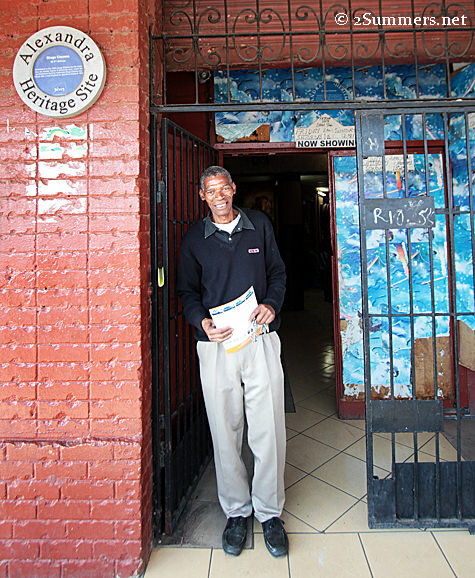 (Every building in Alex has a spaza shop — a small informal stand selling snacks and sweets.) Abraham stood calmly in the middle of it all. 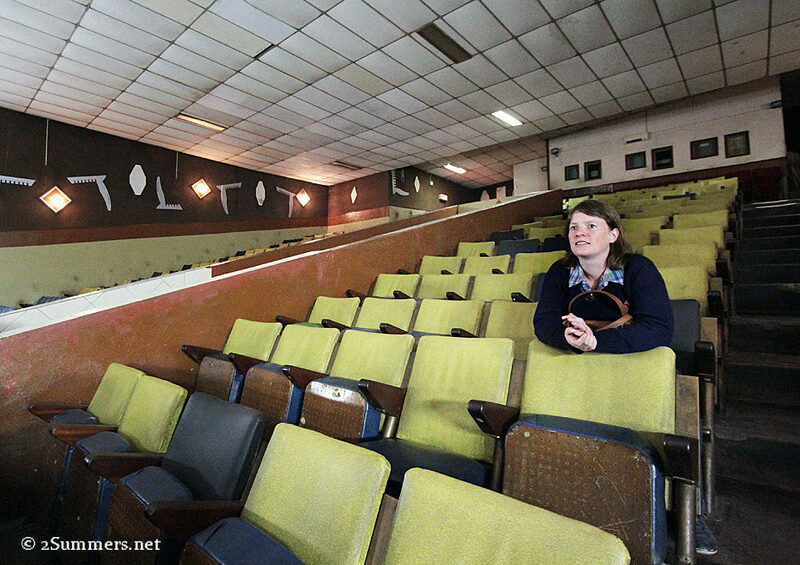 Kings Cinema is dead, yet alive. This is Alex. Best kept secret indeed. The gems you find! Sounds like an awesome place and one that should be showing films again. But what is spaza? Hope more people would see Alex for it’s worth and the role it has played in South African history, But, good thing there is Tour2.0 to show such places to people. now. Hi Asanda, yes, definitely! Thanks for the great tour. I know. I’m still hoping that will change. Wow, what a find indeed. I’m glad that he is able to draw some income from the space – perhaps a retro film society can move in next and get evangelical about classical films. I moved to alex when I was 16, words can’t even describe what its like being a teen in alex.i stayed up the road from kings and every saturday I wil watch group of kids returning from the cinema kicking like jet li n mimicking chinese accents, it was evident that they had a great time.so much memoirs of alex, will never forget that place. Thanks so much for the story, Phuti. Funny! I am so touched by all the comments about this “best kept secret”. I would like to mention that Kings Theatre is not owned by Abraham (aka Boss). It is the inheritance of the “4 Queens”, namely, Cynthia Constable, Liza Petersen, Charmaine Thomas and Shenaaz Bhamjee. They are the daughters of Barbara Brown Thomas, that sang with the African Jazz pioneers. Hi Sumaya, thanks for the comment and that is fascinating! I’d love to learn more. Is this story online anywhere? I doubt that the details are online, however, if you would like to meet the “4 Queens”, and get the story straight from the rightful owners, pls contact me on sumayam2@mobileemail.vodafonesa.co.za, and I can arrange it. I can assure you, this story is worth listening to. Kings was never owned by Abraham. It was owned by my grandfather Essop Mahter and when he fell ill my uncle Mohammed Mahter took over the family business. I know this because we grew up in this cinemas.